Professional Tile Cleaning. Dirty grout and dirty tiles are one of the worst combinations that can happen to your home. Unfortunately, kitchen and bathroom tiles can get so dirty that some homeowners consider renovation instead of cleaning. And it’s not just the physical appearance of the tiles that will make you look for a solution. Namely, according to many studies dirty tiles and grout can lead to a wide range of health issues. In other words, by leaving these areas dirty, you risk your own health and the health of your family. Instead of wasting time and money on renovation or DIY approaches, our recommendation is to hire professional tile cleaning service like Ultra Clean Floor Care. In case you are wondering why hiring a professional tile cleaning service is a smart idea, we will highlight a few good reasons. As we have already mentioned, every homeowner can try to clean the tiles without anyone’s help. However, the truth is that professional tile cleaning service providers can provide thorough cleaning. There is no way for an ordinary homeowner to clean their tiles as good as professionals. There are few reasons for this. To start with, they have experience. Second, they have professional tools, equipment and cleaning products. Finally, they have knowledge and expertise. On top of that, they’ll get the job done fast. Even though tiles are made from durable materials, using certain cleaning products can lead to damage that goes beyond repair. 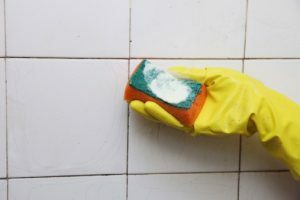 Not every cleaning product is suitable for every type of tile and grout. As a result of this, homeowners can expect problems like grout disintegration and tile discoloration. In case you want to keep the properties of your tiles, looking for a professional tile cleaning company like Ultra Clean Floor Care is your only option. 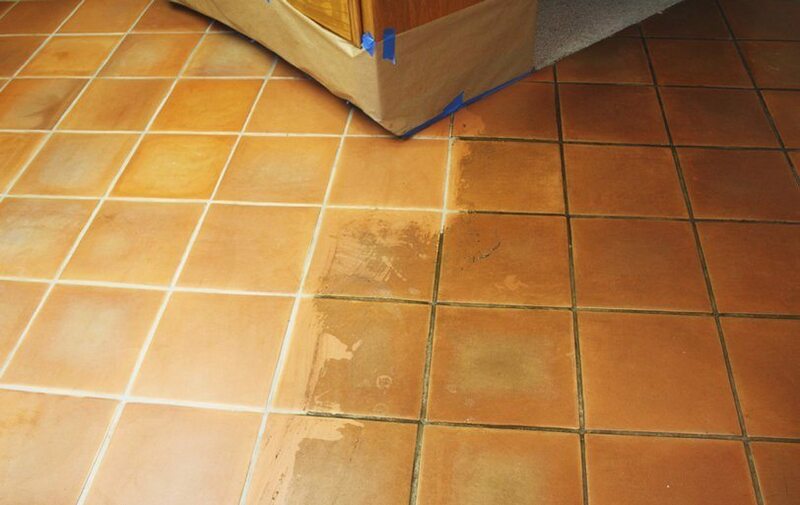 With our help, you will be able to eliminate even the most stubborn stains and bring back the original shine and attractiveness of your tiles and grout without worrying about damages. To be honest, tiles are one of the greatest financial investments in your kitchen and bathroom. So, in case you believe that it is the right time to replace them, it is a better idea to consult a professional. There are situations when heavily damaged and discolored tiles can be brought back to life and this operation won’t cost you a small fortune. So, before investing in new tiles, it is a better idea to call a professional cleaning service that has experience in this field. Tile cleaning is time-consuming and difficult task. If you have participated in this activity, then you know how hard it is to clean tiles. If you are not a professional it will take hours to get mediocre results. Instead of wasting your time and energy, hire a professional tile cleaning service provider like Ultra Clean Floor Care and take care of some more important things in your life.